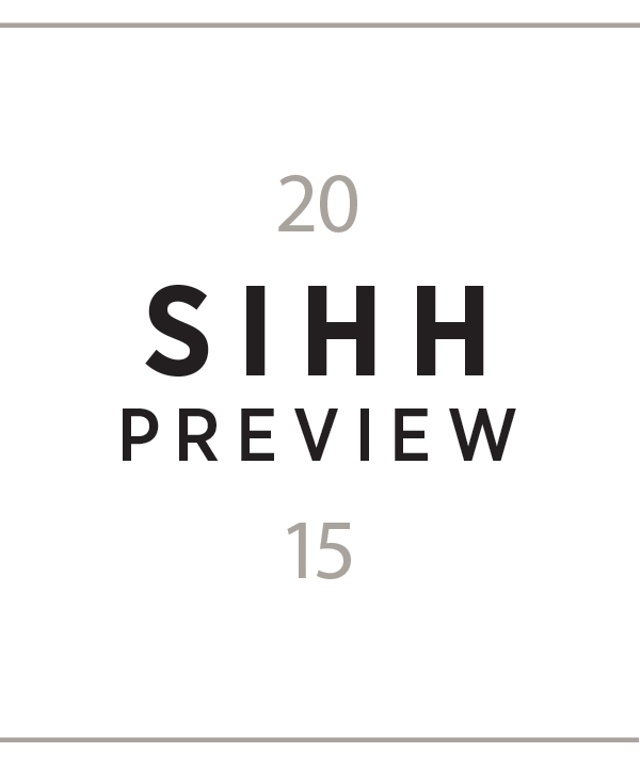 Each year, iW treks to Geneva for the Salon International de la Haute Horlogerie (SIHH). Beginning Jan. 19, 16 watch brands reveal their latest products which you will see in stores and brand boutiques later this year. In the meantime, iW will provide you with live coverage of all the Geneva debuts! Follow along. #iWSIHH2015 During the last month, many of the watch companies at SIHH offered a preview of a few 2015 debuts, offered as a sort of teaser to the main event. We invite you to take a look at these 2015 debuts and prepare for additional models being unveiled as the event kicks off. 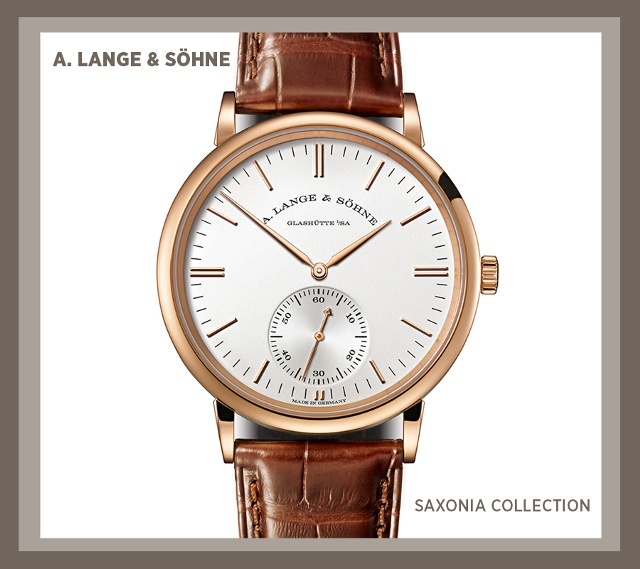 New dial details with the goal of improved legibility are coming from Germany’s A. Lange & Söhne, visible on the Saxonia, Saxonia Automatic and the Saxonia Dual Time. The solid-gold applied hour markers have been moved toward the periphery of the dial and are featured as double baton appliques at 3, 6, 9, and 12 o’clock. The slightly extended black indexes of the minute scale are also bolder. For the Saxonia Automatic and the Saxonia Dual Time, the tens markers of the subsidiary seconds dials feature numerals at 10, 20, 30, 40 50 and 60. In addition, the case size of the Saxonia is now 35 millimeters, and the Saxonia Dual Time has been reduced to 38.5mm, making it the same size as the Saxonia Automatic. This new watch, engineered within Audemars Piguet’s acoustic research lab, has been sonically developed through an ongoing study program in collaboration with the Ecole Polytechnique Fédérale de Lausanne (EPFL), and it took three years to transfer that technological study into a watch concept. The result is scientifically defined sonic targets for watchmakers to measure and attain the perfect minute repeater sound at a volume level never achieved before. 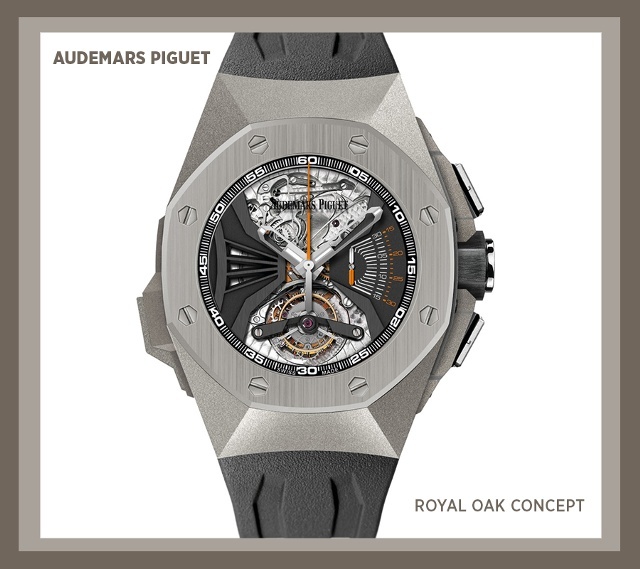 By applying the principles of stringed instrument making, Audemars Piguet has made a breakthrough in the acoustic quality of chiming watch technology and significantly enhanced sound transmission. The 44 millimeter titanium watch has a hand-wound manufacture movement with minute repeater, tourbillon and column-wheel chronograph. 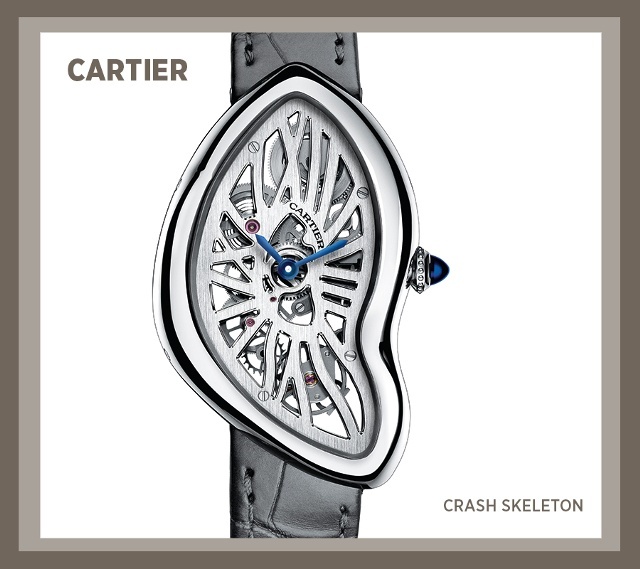 Among a wide-ranging set of new complicated timepieces, Cartier announces a wholly new collection called Mechanical Legends, and kicks it off with the stunning platinum Crash skeleton watch, for which chief Cartier watchmaker Carole Forestier-Kasapi and her team created Caliber 9618 MC, a new movement to fit the unusually shaped case. The movement was designed from the start as an openwork movement—with spectacular results. The plates are sculpted and the entire movement has become the watch’s dial. The original Crash was made in 1967. 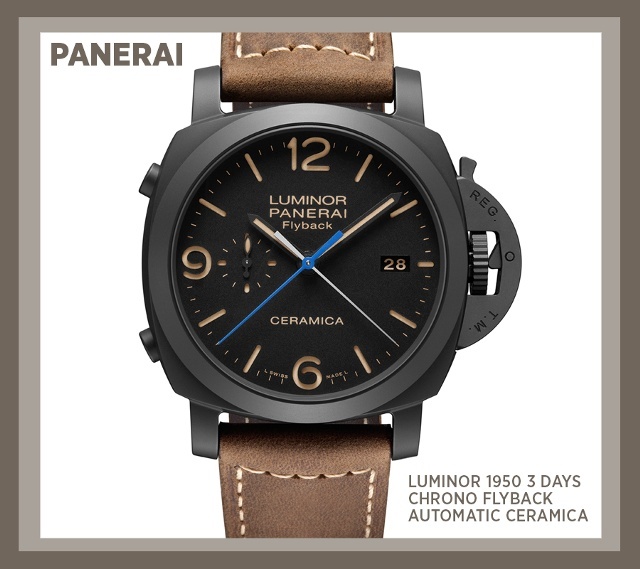 The new Luminor 1950 3 Days Chrono Flyback Automatic Ceramica is a sophisticated new model comprising the automatic P.9100 manufacture chronograph movement and a 44mm black ceramic case. The push pieces that control the chronograph functions are positioned at 8 o’clock (flyback, reset) and 10 o’clock (start, stop), thus leaving intact the outline of the lever device protecting the crown that helps make the watch water resistant to 10 bar, or about 100 meters. The black dial has luminous Arabic numerals and hour markers, and the date is at 3 o’clock while seconds are at 9 o’clock. 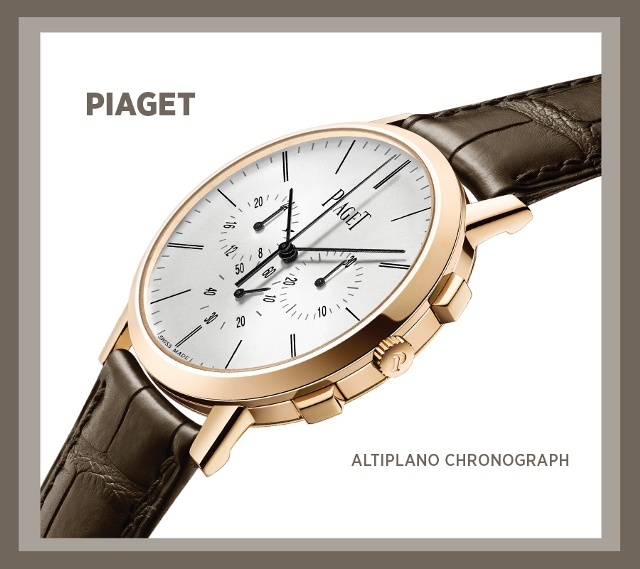 Piaget’s new ultra-thin hand-wound Altiplano flyback chronograph sets a new record in the ultra-thin arena with its 4.65 millimeter-thick movement and its 8.24 millimeter-thick case. Its 883P calibre is endowed with a 50 hour power reserve and driving displays of the hours, minutes, small seconds at 6 o’clock, along with a 30 minute counter at 3 o’clock and a 24 hour dual-time indication at 9 o’clock. Available in pink gold or white gold set with 56 brilliant-cut diamonds (approximately 1.8 carats), this new chronograph is 41 millimeters in diameter and comes on an alligator leather strap.